MSA 10154181 ALTAIR 2XT, CO/H2S, Glow in the Dark. 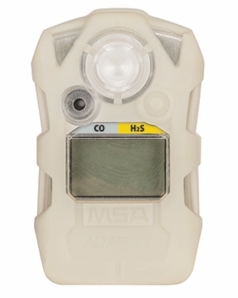 MSA 10154181 ALTAIR 2XT Two - Tox portable gas monitor for the detection and measurement of Carbon Monoxide (CO) and Hydrogen Sulfide (H2S) in the atmosphere. Altair 2XT model 10154181 features a fluorescent, glow in the dark casing. Altair 2XT portable gas detectors offer low cost of ownership, durability and advanced technology.